Central Florida offers riders year-round cycling with hundreds of miles in scenic paved trails, gravel routes, and off-road adventures. At 312 feet, Clermont’s Sugarloaf Mountain Road is home to the area’s largest climb. This short but extremely intense route is on many cyclists’ bucket list, and people from all over the state make their voyage here to take on this 14% grade. Nearby is the National Training Center, a state-of-the-art multi-sport fitness facility which serves as a mecca for triathletes from around the country. The Orlando Bicycle Beltway is one of the newest additions to the area’s robust paved trail system, built as part of an $80 million investment in neighborhood infrastructure. Orlando’s mayor is a passionate politician and cyclist who is leading the charge to make our city even more bicycle-friendly. Jarrod and Jen Cooper are Army combat veterans-turned-entrepreneurs who now proudly offer velofix mobile bike shop services throughout the greater Central Florida area. As avid cyclists themselves, the Coopers ride together as a family. 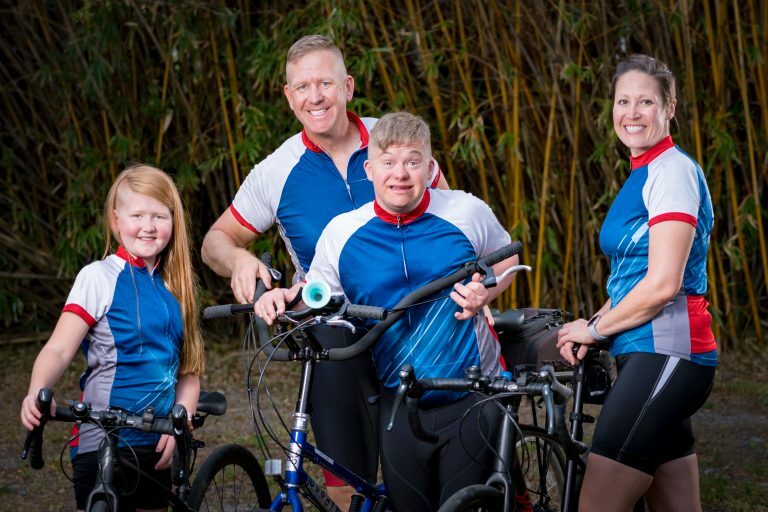 They enjoy spending this special time with their son and record-holding daughter, who at age seven became the youngest person to bicycle from the Atlantic Ocean all the way to the Gulf of Mexico. Velofix Orlando is committed to providing premier concierge service right to your door. Give us a call and let us help you save time and ride more.